This super foods snack mix from To Her Core will give you an extra boost of nutrition. 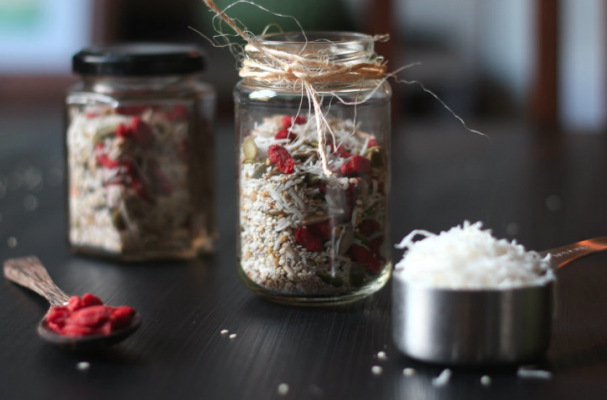 Shredded coconut, bee pollen, chia seeds, goji berries and more are included in the mix. You can add it to your morning smoothies or use it as a topping for your oatmeal. For a heartier snack mix, add your favorite nut and chopped dark chocolate. For recipe instructions, click here.